Mental health is just as important as physical well-being; in many ways, the fitness of the former is of more significant consequence. If you have completed treatment for addiction, then you are probably aware that both mind and body must be in concert with one another if lasting recovery is the goal. Human beings are made up of a series of complicated systems that are meant to work together in harmony. However, when a mental illness like addiction comes into the picture, everything changes. Alcohol and substance use disorders are diseases of the mind that, when active, take precedent; everything else, physical and mental health, is put on the back burner. When individuals are busy fanning the flames of addiction they can’t be bothered with eating healthy, exercise, and spiritual maintenance. The disease is an all-consuming mental health disorder that demands the spotlight from its host, i.e., the individual suffering. Such people will go to extraordinary lengths, to meet the dictates of their disease; and they do so at a steep cost. 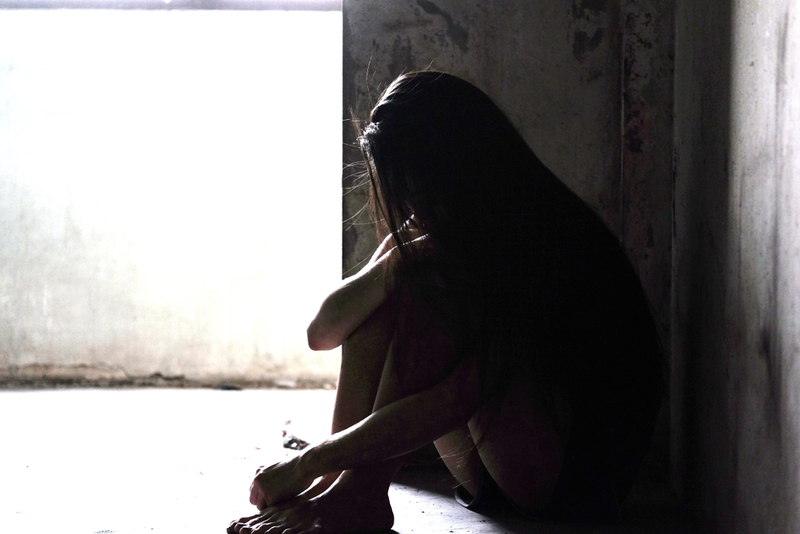 When the majority of people walk, crawl, or are wheeled into addiction treatment centers, their physical and mental health is at an all-time low. One of the reasons that an average length of stay in such a facility is 90 days is that it usually takes more than a month to nurse clients back to even a semblance of health. In most cases, everything is out-of-whack; individuals are vitamin-deficient and malnourished—the pillars of one's existence are in a state of atrophy. On top of teaching people what is needed to achieve lasting recovery, at Whiteside Manor we go to great lengths to stabilize clients' diet and physiology. We do this for two reasons, when people are healthier they feel better and will be more receptive to their education; second, we know that clients who continue to eat right and exercise after treatment, reduce their risk of relapse. Again, when mind and body are simpatico, one’s ability to walk a path of long-term recovery is made more accessible. There are several ways you can promote sound physical, mental, and spiritual health; most of which involve little effort on your part. Now, if you are in recovery and haven’t put much stake in how you treat your body, it is vital that you don’t handle making changes impulsively. Balance requires moderation; doing too much, too quickly, can throw you into a tailspin and jeopardize your recovery. Baby steps are the safest way to adopt changes for the better. May is Mental Health Month! Right now is a perfect opportunity for making small alterations that promote overall well-being. 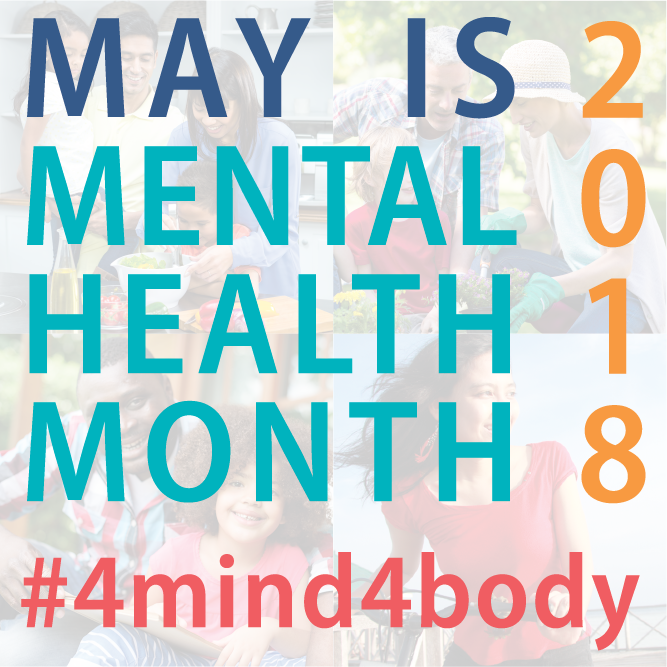 Mental Health America’s (MHA) theme this year is Fitness 4Mind4Body; the campaign focuses on diet and nutrition, exercise, the “gut-brain” connection, sleep, and stress. Each day this month, MHA proffers challenges that you take to foster a healthier mind and body. You, too, have an open invitation to take part in the #4Mind4Body Challenge. When we talk about health, we can’t just focus on heart health, or liver health, or brain health, and not whole health. You have to see the whole person, and make use of the tools and resources that benefit minds and bodies together. 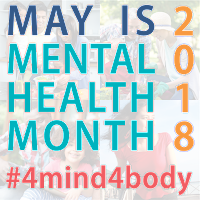 That's why this year, our May Mental Health Month theme is Fitness #4Mind4Body. We’ll focus on what we as individuals can do to be fit for our own futures – no matter where we happen to be on our own personal journeys to health and wellness – and, most especially, before Stage 4. If you or a loved one is struggling with addiction and a co-occurring mental health disorder, please contact Whiteside Manor. Our experienced staff can help you adopt a new way of living and give you tools for working a program of long-term recovery. April in its 11th hour and all of us at Whiteside Manor hope that you were able to take part of one of the many Alcohol Awareness Month events. Just because the month is coming to an end doesn’t mean we can give up the fight to reduce the stigma so often associated with alcoholism or addiction of any type. After all, millions of Americans harbor fears about seeking treatment and working programs of recovery, and for a good reason; society has not been a kind friend to people struggling with mental illness. The battle to decrease and end the stigma of addiction is a year-round endeavor; it is a task that calls on everyone to take a long, hard look at mental illness. 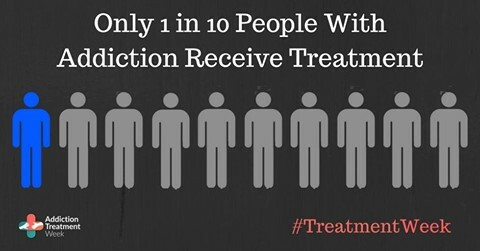 Those who look at addiction objectively soon realize that anyone is eligible for the disease. A recent Associated Press-NORC Center survey reveals that a majority of Americans report having experience with substance abuse of various types, and 13 percent have had a relative or close friend die from an opioid overdose. Even if you only consider the above statistics, you can see that addiction is not an isolated occurrence affecting “other” people. 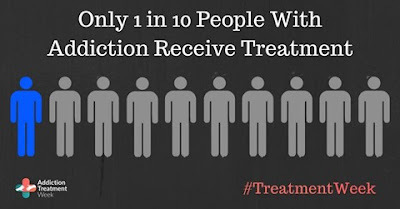 The truth is that we all stand to gain from more people seeking addiction treatment. The economic and life-cost associated with addiction is almost too impossible to grasp. There are around 20.5 million Americans mired in the disease of addiction; approximately 88,000 die of alcohol-related causes each year and over 60,000 people died of an overdose in 2016. Substance misuse costs the United States hundreds-of-billions of dollars each year. We all can have a hand in reducing the terrifying figures above by encouraging more individuals to seek help. 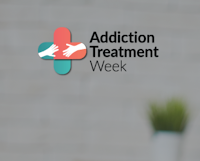 Whiteside Manor asks that you join the American Society of Addiction Medicine (ASAM) and its partners in observing National Addiction Treatment Week, April 23rd through April 29. This week, you’re invited to take part in a number of events focused on research-verified, evidence-based addiction medicine. ASAM’s goal: raise awareness that addiction is a disease, evidence-based treatments are available, and more clinicians need to enter the field of Addiction Medicine in order to treat the nationwide epidemic. 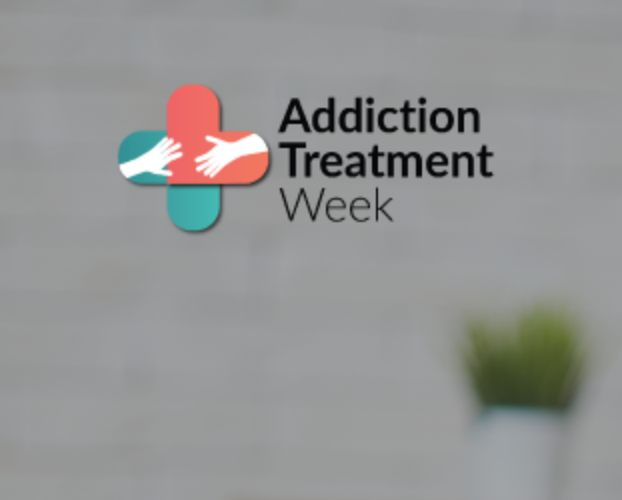 If you are unable to take part in one of the events this week, you can still use social media to spread the message about addiction and treatment. When people have the facts, they can understand better the gravity of the situation; and, as a result, are more likely to adopt a kinder opinion about the disease. When society treats individuals with more compassion, those afflicted are less likely to spurn treatment. If you or a loved one is struggling with addiction, please contact Whiteside Manor. Our experienced staff can help you adopt a new way of living and give you tools for working a program of long-term recovery. Opioid use disorder (OUD) is perhaps one the most significant problems of our times, at least here in the United States. With over 2 million people battling with prescription opioid-related addiction and over half a million individuals abusing heroin, the need for greater access to substance use disorder services is monumental. As you can probably imagine, practically every public health agency has made opioid use disorder the focus of their attention. What better way to address a dangerous problem than to talk to the people that the issue affects the most, individuals living with OUD. 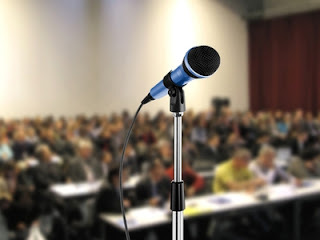 With that in mind, the U.S. Food and Drug Administration (FDA) and the National Institute on Drug Abuse (NIDA) are teaming up to learn more about patients’ perspectives on OUD during a public meeting on Patient-Focused Drug Development for Opioid Use Disorder (OUD). The agencies are interested in effects of opioids on patient health and well-being. The FDA and NIDA want to know how opiates have had the most significant impact on daily life and their experience with addiction treatment for OUD. An essential question involves the barriers that people face accessing opioid use disorder treatment. How does OUD affect daily life on the best days? On the worst days? How has your OUD changed over time? Are you currently using, or have you used in the past, any prescription medical treatments to treat your OUD? Such treatments may include buprenorphine, methadone and naltrexone, and others that your healthcare provider has prescribed. If so, please describe your experiences with these treatments. How well have these treatments worked for you? How well have they helped address the effects of OUD that are most bothersome to you? What are the biggest problems you have faced in using these treatments? Examples may include bothersome side effects, challenges getting the medicines, concern about stigma, and other possible problems. Besides prescription medical treatments, are there other treatments or therapies that you currently use to address your OUD? If so, please describe. How well do these treatments or therapies help address the effects of OUD that are most bothersome to you? Of all treatments, therapies, or other steps that you have taken to address your OUD, what have you found to be most effective in helping you manage your OUD? What are the biggest factors that you take into account when making decisions about seeking out or using treatments for OUD? What specific things would you look for in an ideal treatment for OUD? If you had the opportunity to consider participating in a clinical trial studying experimental treatments for OUD, what factors would you consider when deciding whether or not to participate? For more information, registration, and webcast information, please click here. If you or a loved one is struggling with opioid use disorder, please contact Whiteside Manor. Our experienced staff can help you adopt a new way of living and give you tools for working a program of long-term recovery.